SEGA announced this morning that two new Sonic games should hit Android later this year, Sonic the Hedgehog 2 and Sonic & All-Stars Racing Transformed. Earlier this year, the company released a mobile-optimized version of the OG Sonic the Hedgehog game, which totally rocks. SEGA says they are going through the same optimizations for this version, rebuilding the game from the ground up for smartphones and tablets. Revisit iconic levels packed with enemies and hazards as you zoom along loop de loops in your mission to destroy the devious Dr. Eggman. This definitive remake for mobile devices has been fully built from the ground up, featuring re-mastered graphics and audio, a silky smooth frame rate (60fps) and exclusive game content. 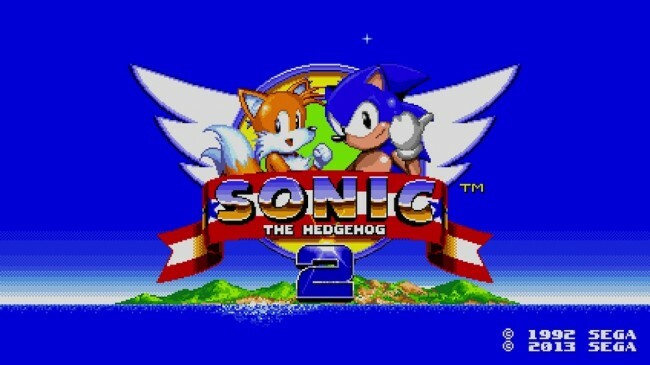 The games should launch in November, and if Sonic 2 plays as good as the first one they launched, then we can’t wait.